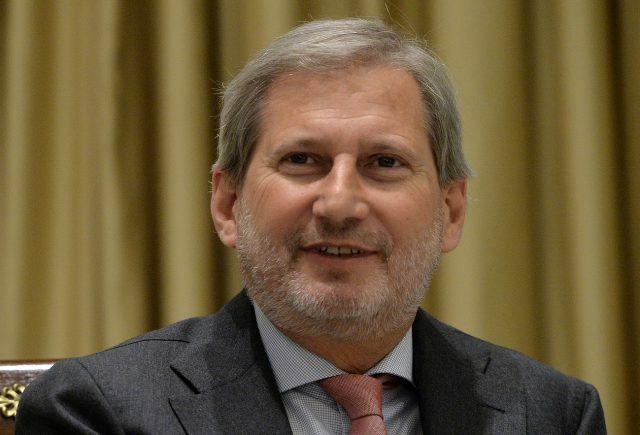 BELGRADE – Commissioner for European Neighbourhood Policy and Enlargement Negotiations Johannes Hahn is in Serbia on 28-29 March. On his first day in Belgrade he met with the president of Republic of Serbia Aleksandar Vučić to talk about european integration, problem with Kosovo and the situation across the region. He reiterated the need of reforms in the field of the rule of law for the benefit of the society so Serbia could move forward on its EU accession path. Hahn previously attended the ceremony where he was appointed as Ambassador of the Youth Sport Games. Commissioner Hahn said that letter sent by Adria News Luxembourg the owner of TV N1 to international institutions would be included in the next progress report, adding that first he needs to recieve it. In the light of the meeting with Serbian Prime Minister Ana Brnabić and Minister of Euroepan Affairs he underlined that he appreciates Serbia’s strong commitment to the EU accession proces and regional cooperation. 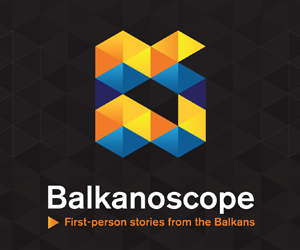 “Serbia has shown resilience despite well known difficult circumstances. I take also note that Serbian Government is making serious efforts to improve situation in the crucial rule of law areas, such as the finalization of the media strategy. It is also important to improve cooperation in its parliament.”, said Hahn. According to him, european elections have no major influence on Serbia’s EU accession path. 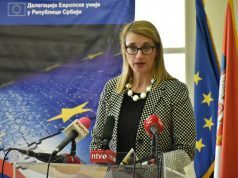 Prime Minister Ana Brnabić said that new draft for media strategy will be soon given back to the working group and professional associations. 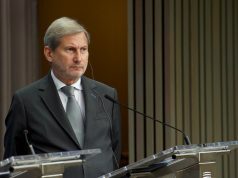 Commissioner Hahn met with part of the Serbian oppositon. Boris Tadić, Aleksandra Jerkov, Borko Stefanović, Vuk Jeremić and Nebojša Zelenović were present at the meeting. Leader of Dveri Boško Obradović confirmed that he was not invited to the meeting. Even though he recieved the invitation he would not come, he explained. Hahn attended the opening of the Golubac Fortress alongside President Vučić and Prime Minister Brnabić. The EU has been the main contributor to the reconstruction of the fortress – one of Serbia’s most impressive cultural heritage gems on the Danube. The EU values culture and is a major supporter of Serbia’s cultural heritage, which also contributes to local job creation and economic growth.